When I first decided to start submitting to agents and publishers, I sat myself down and told myself that there would be a lot of rejections, but it would be fine; I would deal with them in a sensible, adult manner. Then I remembered that sensible adults are a bit boring, so I decided instead I’d shoulder them like a wise, unflappable owl (I’m not sure where I got that from because I’m neither wise nor unflappable by nature, but I liked the idea.) I would be humble and dignified in defeat, whilst patiently plugging away with my writing in the background. I used to work ten-hour days and come home shattered, but write determinedly at night, emptying the characters in my head onto paper whilst refreshing my email every 20 minutes in the background. Part of me was even eager to get those first few ‘no’s under my belt and build my resolve. Everyone gets rejections, I’d keep telling myself. J.K. Rowling got 12. And I was right. There were rejections. And it wasn’t too bad at first. “Very much enjoyed reading your submission – Not quite right for us at this time – Extremely subjective business – Wish you every success elsewhere.” Everyone was very polite, even apologetic in some cases. This isn’t so bad, I thought. I developed a tendency to reply, thanking them for their kind rejections and wishing them many bestsellers in the future. I was the owliest owl ever. It didn’t take me long to hit 12, and at that point I caught myself thinking, There, I’ve done my time, now we can get started! By the time I hit 20 rejections I was beginning to flap. My eye would twitch every time I got an email. When I hit 30, I went from a sort of indignant, arrogant Why doesn’t anyone want this? It’s good? to Hang on, this must be terrible, what was I thinking? I’d clearly been a complete idiot, kidding myself that I could write. And I resolved to do exactly what I’d told myself I wouldn’t: Give up. Submissions take time. Every agent and publisher has different guidelines, wants to see different things, and one submission can take anywhere from 30 minutes to an hour to put together. I realised that I could save myself loads of writing time if I stopped bothering with them altogether. I was still going to write either way. Writing had become such a part of me that I wasn’t ever going to stop. I took a break from submitting for a couple of months. I started working on a new novel. I re-owled myself. And when I was feeling better, I dug my original book out of its folder and sent it back out on its way. And without a word of a lie, albeit ten months later on the turnaround, submission number 31 was the one that struck a deal (yep, I kept a numbered list of them). Nothing had changed; the words were exactly the same; they’d just landed in the right inbox. Two days after I’d signed on the dotted line, submission number 32 also came back with an offer. So if your eye ever twitches when you check your email and you get tired of hearing ‘Thanks, but no thanks,’ – just remember, it’s purely a numbers game out there, and it can take a while to get your work into the right hands. Don’t let your inner owl get ruffled along the way – and don’t ever give up! Blurb: What if we’re all monsters, on the inside? 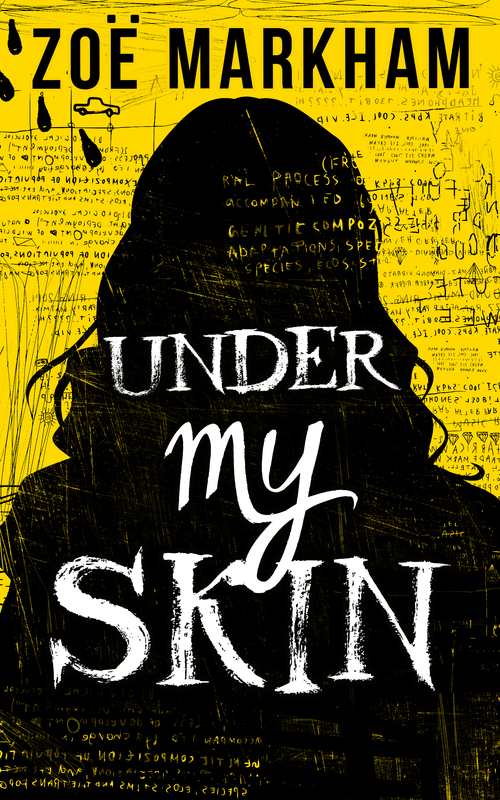 Zoë writes Young Adult fiction, blending dark twistiness with urban Britishness to produce unique, unsettling tales. A full-time editor by day, Zoë writes by night, fueled by endless mugs of tea and an increasingly blurred distinction between fantasy & reality. Zoë lives in the wilds of West Oxfordshire with her husband, son, and the obligatory two cats. Good for you not giving up! It takes real staying power, constantly fielding rejections. Hard not to allow your self-belief to be undermined. Your owlish image will stay with me for a long time. Congratulations on your book – it looks intriguing and exciting.